If you buy a ColorMunki Photo this month, you can get yourself a free box of A4 Tecco paper. The X-Rite ColorMunki Photo will calibrate both your monitor and printer, meaning what you see on screen is what you end up printing out (one of the most common queries at Focus this year was “why do my printouts look different than what’s on screen?”) ensuring greater accuracy. This offer also means you can print out your newly found accurate images on quality paper. The Tecco paper range includes different types of paper with varying characteristics, helping to add life and depth to your images. For example, Tecco Iridium Silver Gloss is a silver metallised paper perfect for intensifying black and white images, and Tecco Sepia Satin will add a classic/vintage sepia finish to your prints. We have 5 paper types to choose from – so once your monitor and printer are calibrated, you can get creative with your printing. So you’ve now got monitor and printer calibration sorted, as well as some quality paper to print on, but what about your actual image editing? Until the end of April, you can save 20% on Color Efex Pro 4 from Nik Software. Color Efex Pro 4 is versatile and intuitive allowing you to colour correct, edit and retouch your digital images, making use of Nik’s patented U-Point technology. The ‘Complete’ edition has 55 filters (10 improved, 8 brand new) which offer combined flexibility and creativity to quickly stylise your images and make them stand out from the crowd. Along with Silver Efex Pro 2, Color Efex Pro 4 was one of our most popular and well-received products at this year’s Focus on Imaging. And lastly, don’t forget to come and see us at Sign and Digital UK, stand P94! See www.signuk.com for the lowdown. This entry was posted in Monitor Calibration, Photography, Printing and tagged Color Efex Pro 4, ColorMunki Photo, Monitor Calibration, Nik Software, Printer Profiling, Silver Efex Pro 2, Spring, Tecco Paper, X-Rite on March 23, 2012 by colorconfidence. With Focus on Imaging done and dusted (read our review here) it’s time to move onto the next show; Sign & Digital UK. Sign & Digital UK takes place at the NEC Birmingham from the 27-29 March. It provides a unique opportunity to view the latest innovations and products within the sign making and digital print industries. Suppliers from all over the world attend the show, with various seminars and workshops taking place throughout. We’ll be attending this year – stand P94 – along with some of the leading manufacturers within colour management to demonstrate the difference effective colour control can have on the quality of signage and digital output. So, who have we got with us on the stand this year? 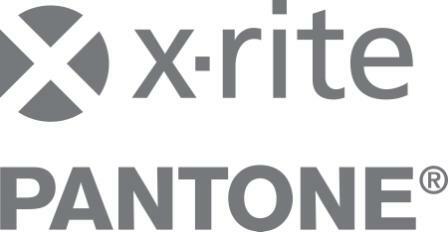 X-Rite are world leaders in colour management technology and produce numerous professional hardware and software solutions for full control over your colour workflow. Their range includes the i1Pro series for complete colour control throughout your workflow and i1Display Pro; a monitor calibrator for accurate on-screen colour. Pantone are the leading provider of colour systems and technology for accurate colour communication. Setting the global colour standard for the reproduction and confirmation of correct colour, Pantone offer a full range of publications to achieve accurate colour. Your screen is the first port of call for ensuring accurate colour, meaning a monitor must display colours correctly. A range of monitors will be on stand from leading manufacturers to demonstrate the latest in colour accurate displays. Neolt UV UK are one of the few vendors in the world to offer complete wide format printing solutions and finishing equipment such as trimmers and welders. On stand, Neolt will be demonstrating the XY Matic Trim for substrates up to 1.65 metres wide. This entry was posted in Color Confidence, Industry News, Printing and tagged Digital Printing, Eizo, NEC, Neolt UV UK, Pantone, Sign & Digital UK, Signage, X-Rite on March 16, 2012 by colorconfidence. I think it’s fairly safe to say that was one of the busiest Focus on Imaging shows for a long time. From our point of view, the busier we are the better the service we’re providing, so we were more than happy to see our stand full for the most part – although, I’m not so sure our feet agree with us! Going into this year’s show we had lot’s to talk about and demonstrate, particularly focussing around the new monitor calibrators from DataColor, and the latest releases from X-Rite. It’s one thing to talk about the importance of monitor calibration, but it’s another to see in action first hand. With both X-Rite and DataColor devices on show, it was a pleasure to educate and demonstrate just how effective a properly calibrated screen can be. We often find those completely new to the idea of calibration are taken back by the difference between a calibrated and un-calibrated display. Our Nik Software demonstration and seminar area was back with a bang this year. You don’t need us to tell you how good Nik Software is, but judging by the amount of people who attended the seminars every hour, word is spreading fast – so much so, we sold out of Silver Efex Pro 2 by the second day! But that didn’t stop the interest. I think there’s going to be some very happy image editors around the UK based on the show sales figures. As with monitor calibration; it’s one thing talking about the software, another to see it first-hand. The expert tutorials by the likes of Richard West provided further insight into the power of the software, with even more experienced users picking up a trick or two. Another popular feature was our monitor wall, showcasing the best and brightest monitors from Eizo and NEC. Coloredge’s and SpectraView References were the most in-demand, the best possible colour accuracy was clearly the order of the day – must have been all those photo-shoots opportunities inspiring some creative genius. We hope you enjoyed the show in any case. It’s always a pleasure to meet our customers in the flesh and hopefully pass on a few tips or two. This entry was posted in Color Confidence, General News, Photography and tagged Color Confidence, Datacolor, Eizo, Focus on Imaging, Monitor Calibration, NEC, Nik Software, Photography on March 9, 2012 by colorconfidence. Color Efex Pro 4 gives you access to 55 high quality photographic filters to help you achieve outstanding photographic results. It provides you with a number of powerful and simple-to-use tools for enhancing and editing digital photographs, making good use of Nik’s U Point Technology for complete customisation and precise image editing. This means that each filter provides control to satisfy the most discerning of photographers. Each filter (of which 18 are new or updated) includes a visual preview of your image complete with recommended pre-set settings. This gives you a starting style point to find out exactly what path or stylistic direction you wish to take. You can also combine and stack numerous filters for the ultimate creative experience. The Focus is on ease of use and simplicity rather than time-consuming techniques and processes, meaning you can get on with the job of getting creative as opposed to working out how to do things. Color Efex Pro 4 plugs seamlessly in to Photoshop, Aperture or Lightroom meaning you can use whichever one suits best and still get the most out of the software. Come and see Color Efex Pro 4 in action at this year’s Focus on Imaging 2012. We’ll be running a series of Nik Software seminars daily throughout the exhibition, you can see the proposed schedule times here. We’ll also be demonstrating the rest of the Nik Software range too – so come along to stand C11 and come and see us. This entry was posted in Photography, Software and tagged Color Confidence, Color Efex Pro 4, Focus on Imaging, Image Editing, Nik, Nik Software on March 2, 2012 by colorconfidence.